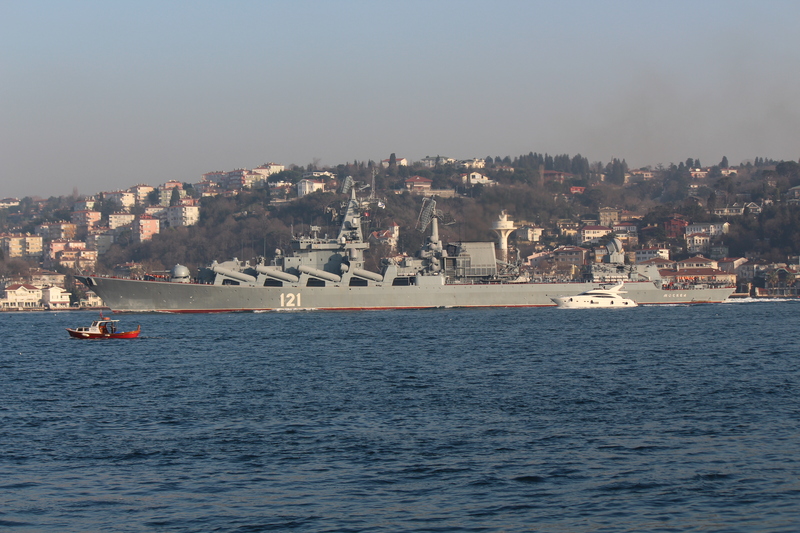 Russian Slava class cruiser Mosvka returning to the Black Sea after a 136 day deployment. Photo: Yörük Işık. Used with permission. 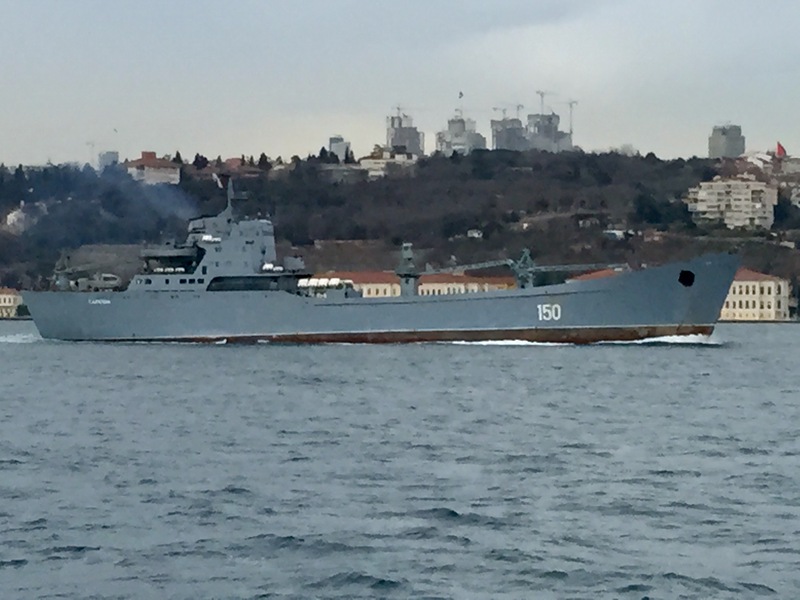 Russian Alligator class cruiser landing ship Saratov making her northbound passage through the Bosphorus. Photo: Yörük Işık. Used with permission. 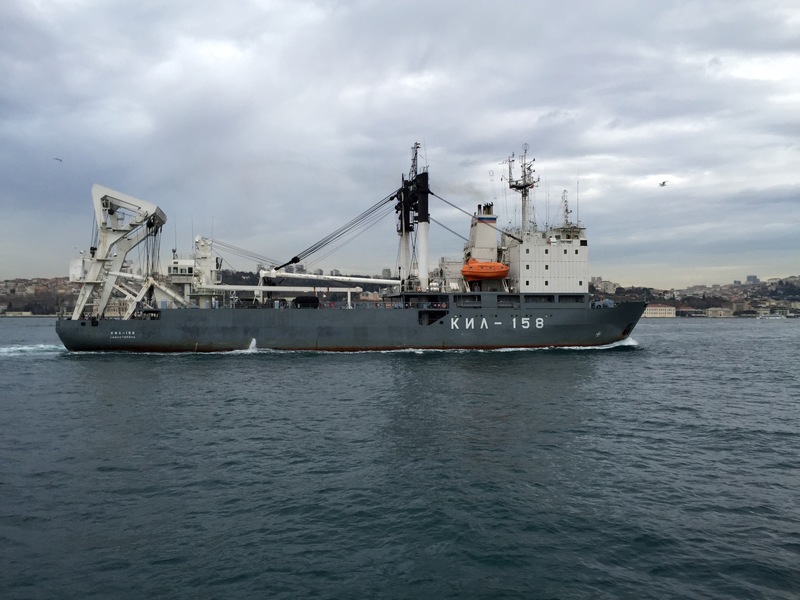 Russian Kashtan class buoy tender KIL-158 passing through the Bosphorus. Photo: Kerim Bozkurt. Used with permission. 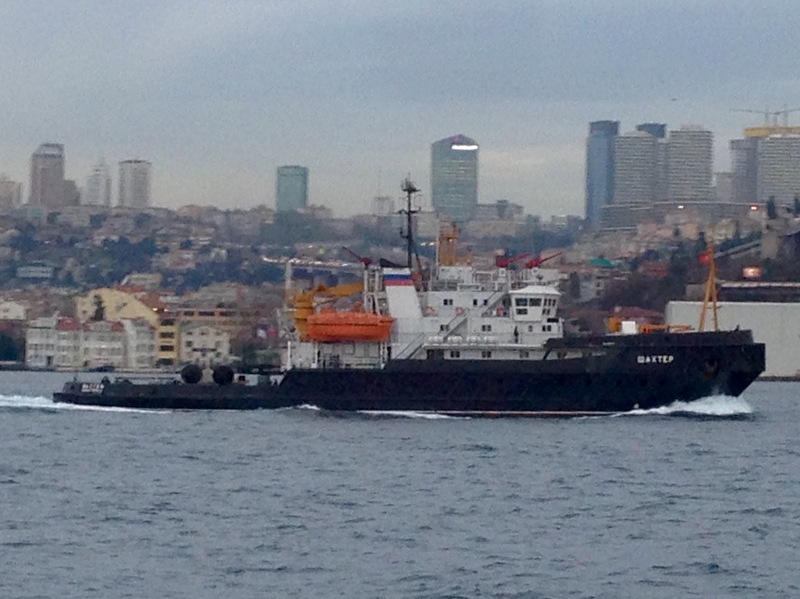 Russian Kashtan class buoy tender KIL-158 passing through the Bosphorus. Photo: Yörük Işık. Used with permission. 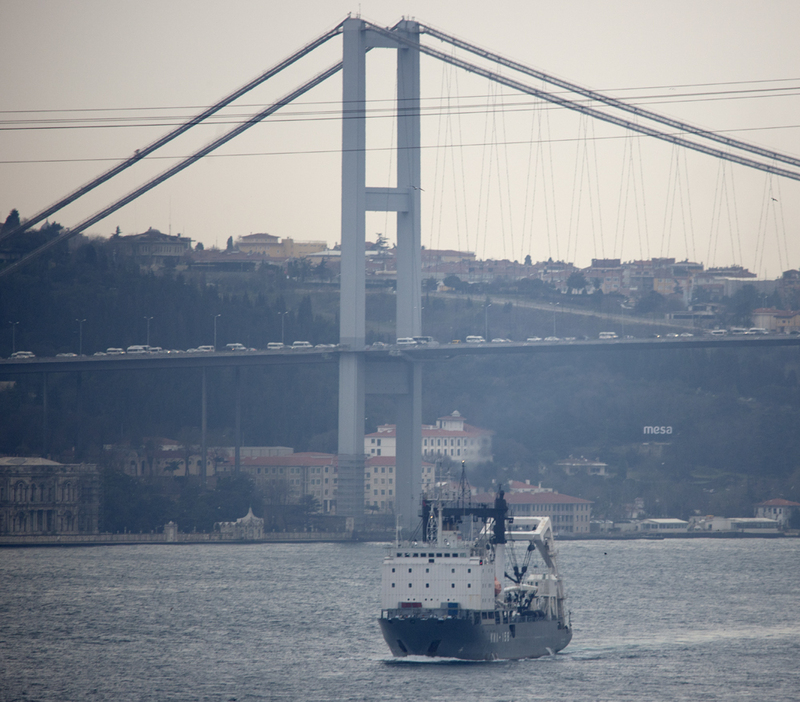 Salvage tug Shakter passing through the Bosphorus. Photo: Yörük Işık. Used with permission.